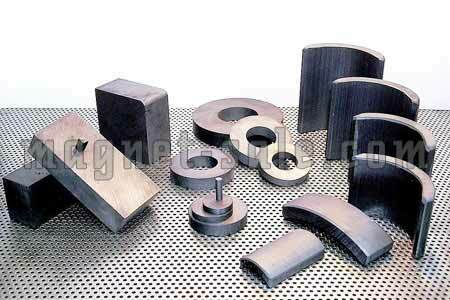 Ferrite magnets is made of SrO-6(Fe2O3), strontium . 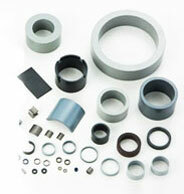 The element of Ba and Sr is the Ferrite magnet is more economical and most applications all the time. Because the raw material is more cheaper. 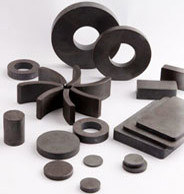 Ferrite magnets are formed by compaction in dedicated, multi-cavity dies followed by sintering in high temperature furnaces. 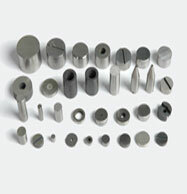 This produces a hard, brittle part that requires diamond wheels for grinding to close tolerances. 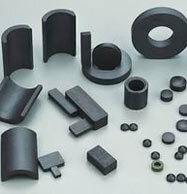 Ferrite has higher coercive force and higher resistance to be demagnetized and oxidized than other non-rare earth permanent magnets. so no need coating. But like most ceramics, they are brittle and should be handled carefully.